Two gaming consoles in a single case. Thanks to one reddit user, the dream is now a reality. Dogs and cats living together. Stevie Wonder and Paul McCartney singing about piano keys. Lisa Bonet. History has taught us time and time again that while combinations of wildly disparate elements are guaranteed to stir up controversy, the end result is often far more valuable than the sum of its parts. Thus, I present the creation of adorably-monikered reddit user "timofiend." 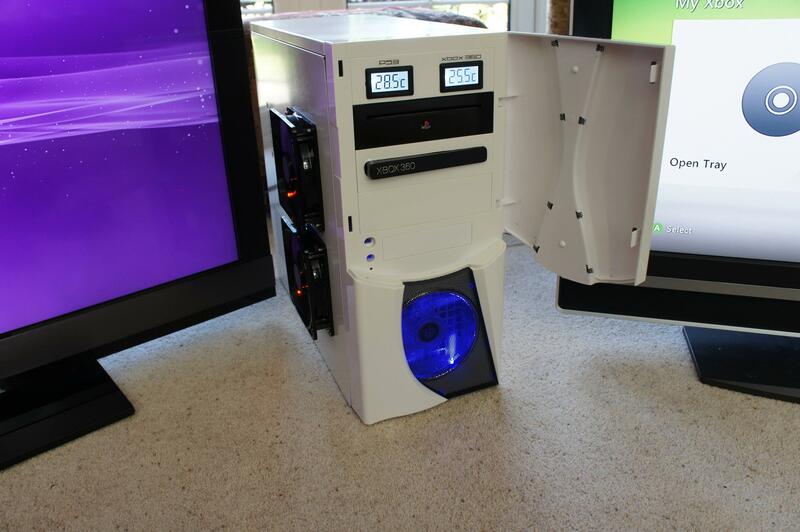 Seemingly tired of owning both an Xbox 360 and a PlayStation 3, the inventive lad mashed the two together inside a single PC case, creating a hybrid to rival anything dreamt up by H.G. Wells. 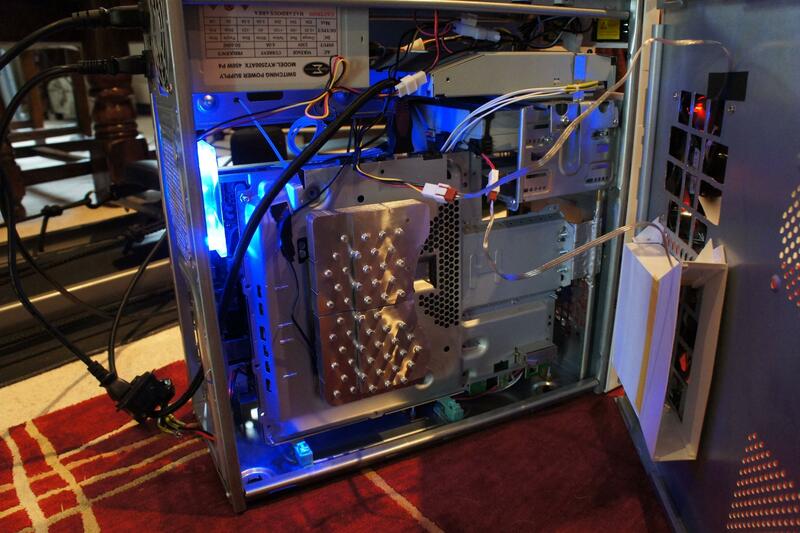 In terms of overheating, Timofiend said that he skipped out on using liquid cooling because it was too expensive, and it looks like when both consoles are turned on at the same time, the temperature hovers at around 38-39 degrees celsius (100-102 degrees fahrenheit) for the PS3 and 37-38 degrees celsius (98.6-100 degrees fahrenheit) for the Xbox 360. While it's never stated if those are the operating temperatures while both consoles are running simultaneously -- and why you would ever do that, I have no idea -- they still seem well within each console's optimal range. 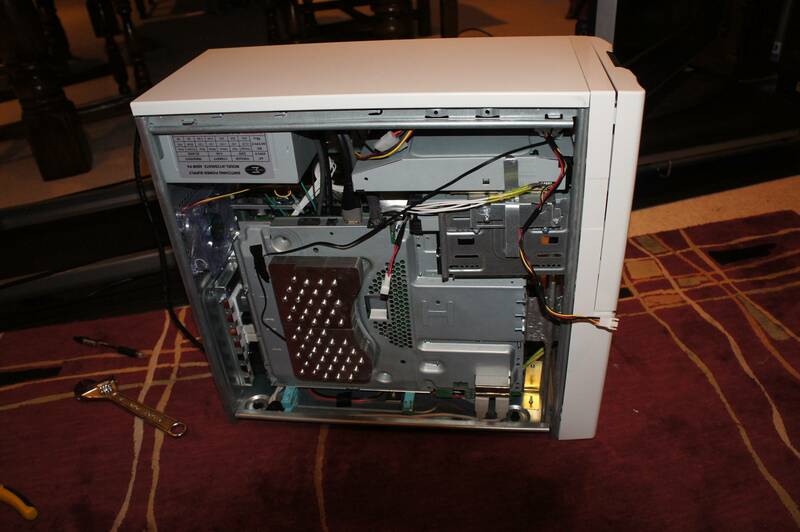 That said, the lack of liquid cooling leaves me wondering what else might be jammed in that case with a radiator full of toxic goo to keep it chilled. 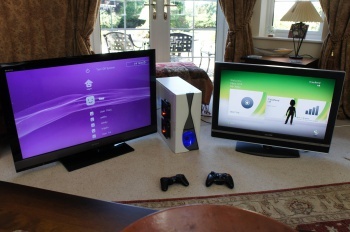 I have more than enough space for all of my consoles, but I would drop good money for a combination Xbox 360/PlayStation 3/rotisserie carousel. Originally I was going to suggest a built-in LCD monitor, but that's a bit obvious. Plus, there isn't a TV on the market that can roast a suckling pig while I'm throwing fridges at the citizens of Detroit.